Reception class have been enjoying learning about space as their new topic for the new term. 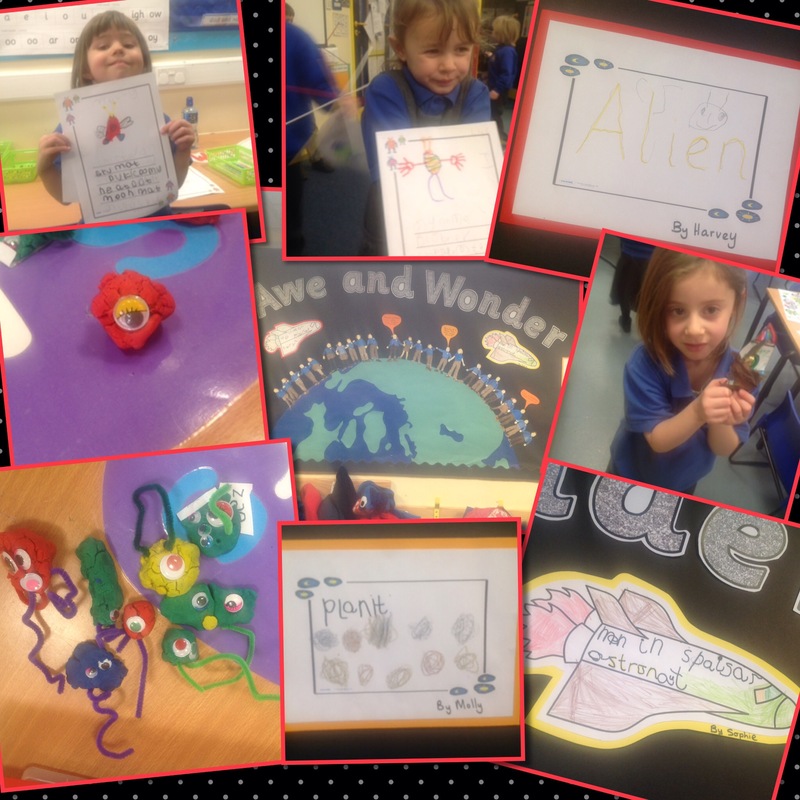 They have been making space aliens out of play dough (to encourage the development of their fine motor skills) and they have also been thinking about and writing down items that they would take into space to encourage the children to use the phonic sounds that they have learnt. 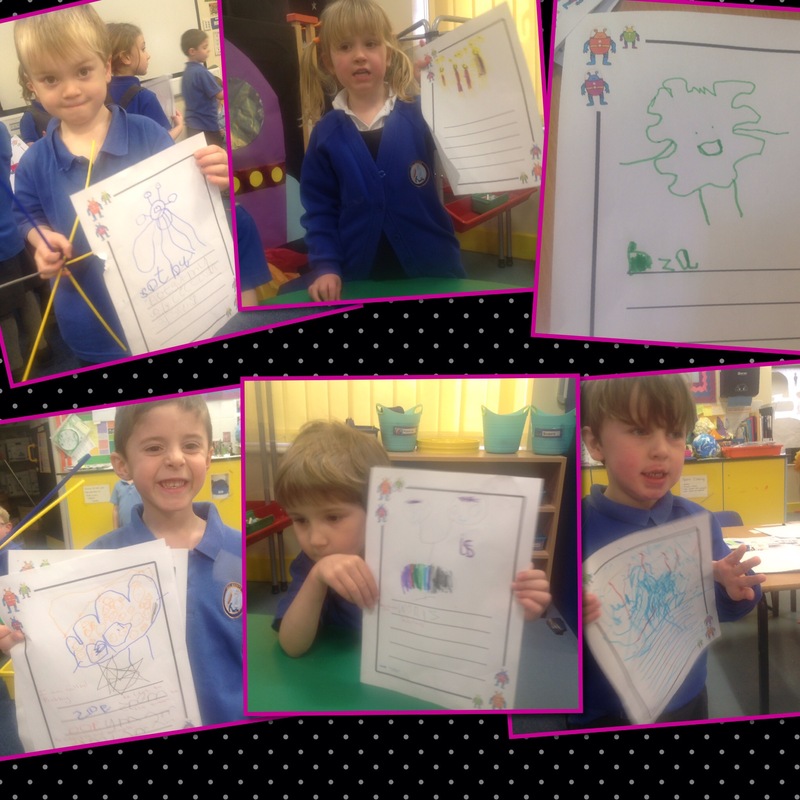 Yesterday saw the children designing their own aliens. 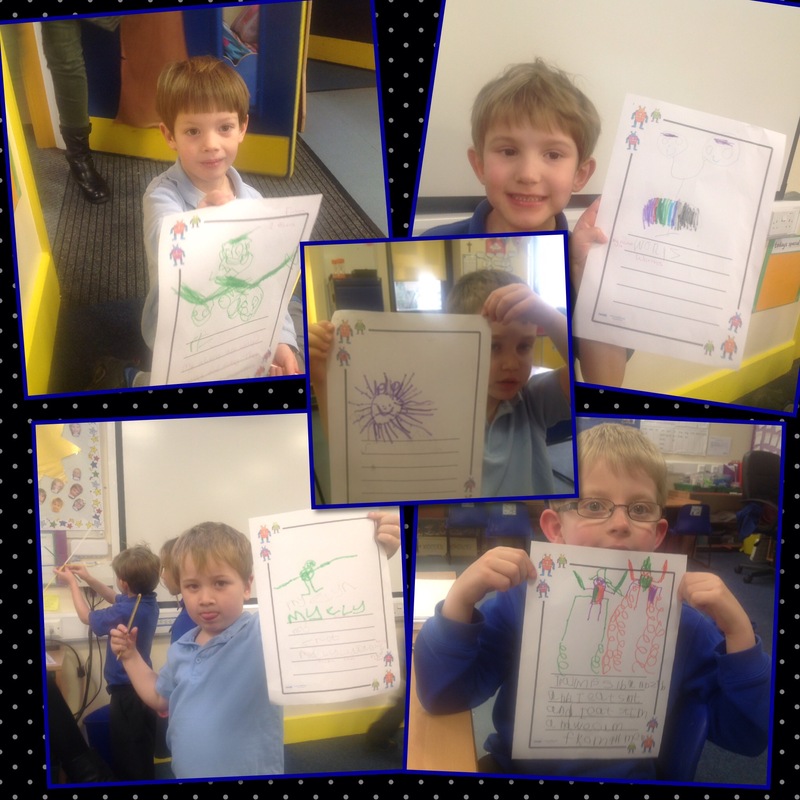 They were then encouraged to write descriptively about who their alien was. There were some fantastic efforts made. This week in maths the children are looking at the number bonds to 10 by discovering what we need to add to different numbers to make 10. Previous Post I am a Year 5 pupil, get me out of Here!